As the UK leaders in the creation of Premium Outdoor Cooking, Living and Entertaining spaces, we understand the importance of expert guidance when creating your dream outdoor kitchen. Outdoor Kitchens can be installed all year round but timing is key as demand for contractors is always higher in spring and summer. Plan well ahead and utilise off season months for the construction phase of your project. 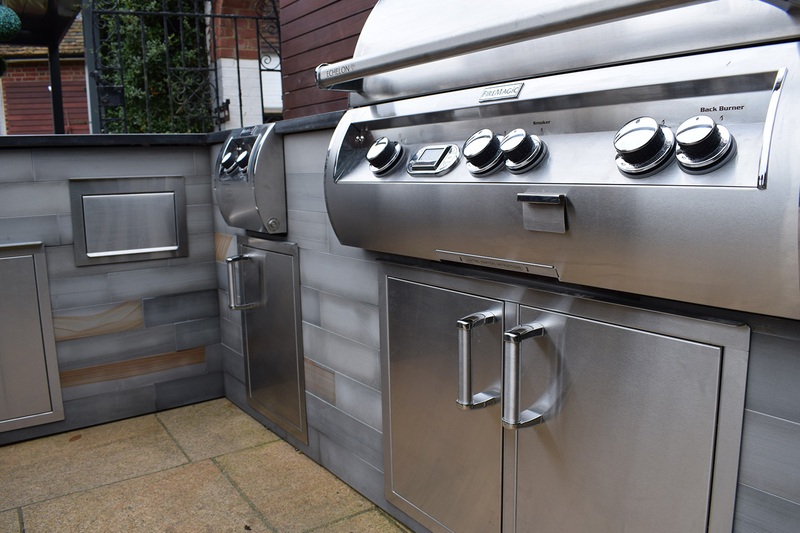 There are a variety of different styles of Outdoor Kitchen to gather inspiration from along with considering the desired location, colour schemes and equipment requirements. A great source of inspiration is our online gallery. 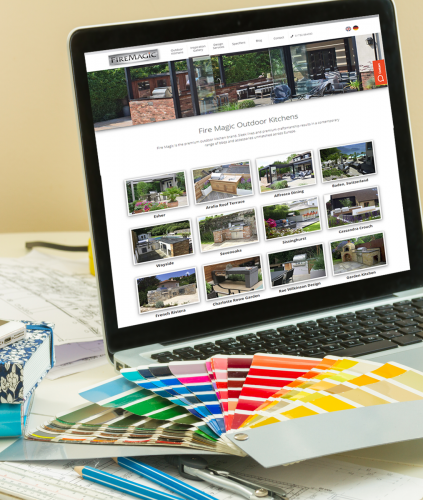 Contact Fire Magic for expert advice and product selection for all elements of your Outdoor Kitchen. We will provide expert guidance from start to finish and aid in the key decision between a modular system and a bespoke outdoor kitchen build. Bespoke Outdoor Kitchen Design is free of charge from Fire Magic and after discussion with our expert team your design will be provided within 5 days of enquiry plus revision drawings as required within 14 days. After placing the order for your product selection you will receive production drawings from our expert team ready for you to schedule work with your contractor. Building a basic bespoke Outdoor Kitchen typically takes 2-3 weeks (not including any other project requirements). Allow further time for worksurface installation and any utility provisions. Your equipment is delivered from Fire Magic at a timescale agreed with you. Expert advice is available for you or your contactor during product installation. 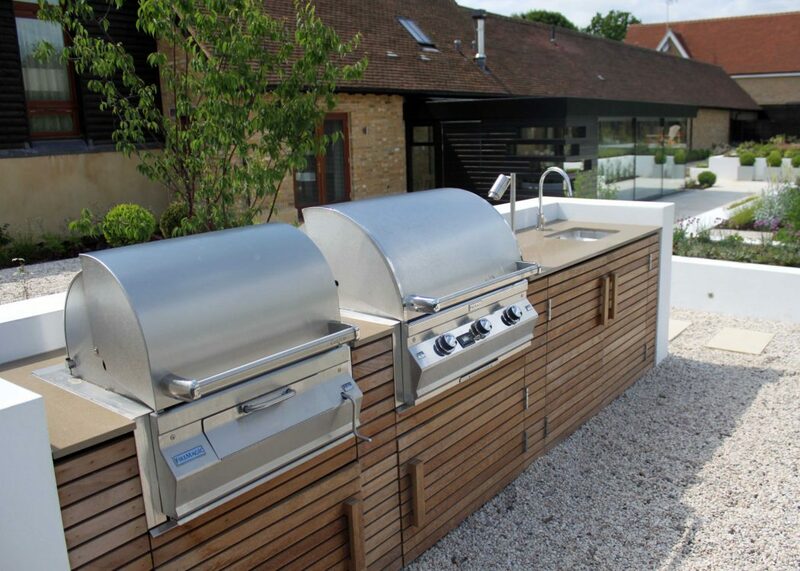 Initial planning to completion of a bespoke outdoor kitchen project typically takes 2-3 months depending on the scope of the project and availability of your contractor. Our CUBIC and prefabricated ranges offer a choice in style and layout of Modular Outdoor Kitchens. As part of your selection process we will support you with layout information and drawings of the product in situ within 5 days of enquiry. 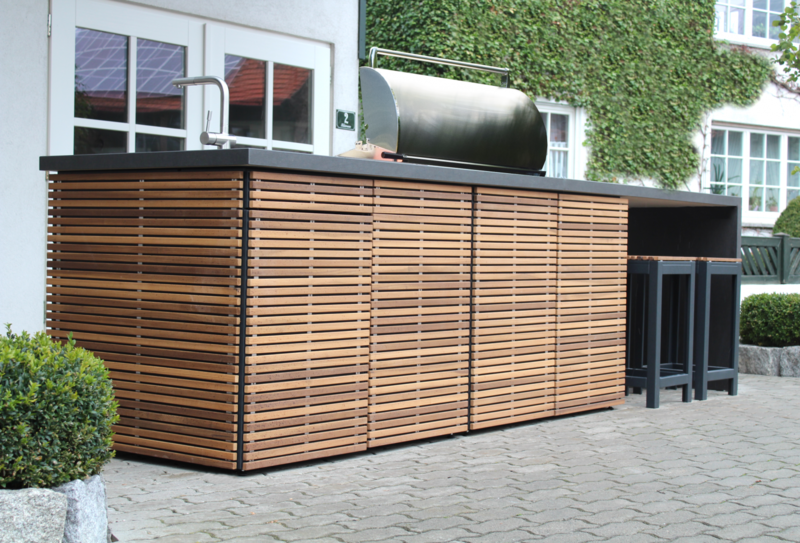 Upon ordering your Modular Outdoor Kitchen and supporting products such as bar stools, expert advice will be given as to any utility provisions that need to be made before installation. Your equipment is delivered from Fire Magic at a timescale agreed with you, ready for installation and use. Initial planning to project completion of a Modular Outdoor Kitchen is typically 1-2 months.